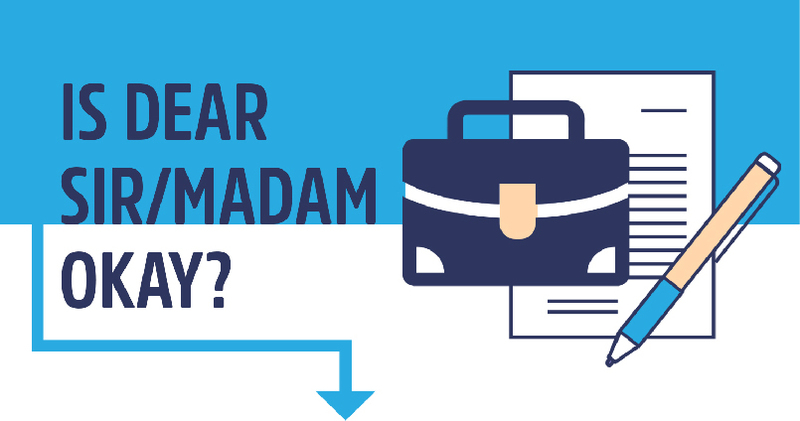 How do you know when to use Dear Sir or Madam or something else? When writing a business letter or email, it can be a real challenge to get the salutation right—especially for someone you don’t know or an organization you’ve never worked with. In such situations, you should err on the side of formality, but even then, there are good reasons to avoid Dear Sir or Madam. Luckily, there are a number of alternatives for Dear Sir or Madam that will help you remain professional. Is Dear Sir or Madam Acceptable? The short answer is yes but only rarely—though of course, not everyone agrees. • In today’s technologically connected world, there is (almost) no excuse for not knowing whom you are writing to. • Dear Sir or Dear Madam may offend your recipient if you’re unsure of their gender or get it wrong. If you want to write a better cover letter to a prospective employer or an outstanding business letter to a potential client, you want to stand out, right? Likely you want to show how you are already a great fit for the team. Knowing someone’s name, gender, and what they do is a fundamental way to show your investment. You should avoid using Dear Sir/Madam in emails as well as in cover letters. Cover letters are notably more formal than emails, but some of the same rules apply, especially if you are writing to someone for the first time. Regardless of format, use a formal tone, while—as stated earlier—investing time in researching whom you are writing to. This business writing salutations flow chart will help you understand when to use Dear Sir or Madam and when to use something else. Though many people use Dear Sir or Madam interchangeably with To Whom It May Concern, there is a notable difference in meaning that employers or companies in certain formal sectors (academia, law, finance, etc.) will be sensitive to. To Whom It May Concern implies that the information discussed in the letter can go to any relevant party within the organization. This salutation should be used for general concerns like support requests or feedback. Dear Sir or Madam implies that you have one specific person in mind for this letter, but do not know their name, title, or gender. This salutation should be used for communication regarding specific projects, specific concerns, or employment. If you must use Dear Sir or Madam or a variant of it, traditionally this salutation is paired with Yours Faithfully, in the signature. Here is a template of a letter or email which uses Dear Sir or Madam correctly. Letter text centered vertically on page.